Congratulations on starting a photography business! This overview of how to get started is perfect for the amateur photographer researching business opportunities, part-time photographer looking to expand, or a veteran pro who needs to revisit planning and marketing. The tutorial that follows is your roadmap for starting a successful photography business. Starting a business begins with the end. By setting business goals you will find a clear path to your destination, like breadcrumbs to follow later. My free Vision Statement Workbook is a great resource for this! Business goals can be general. For example, you may want to work 40 hours a week in photography (replace a full-time job) or establish a group of pregnant moms whose families you can photograph from maternity through seniors. Let’s begin with client goals. Starting photographers often feel they have to take on any business that comes their way. Selecting a photography niche and choosing an ideal client up front allows you the comfort and confidence to turn away the client who is too far away from your location, can’t afford you, or is simply a pain to work with. These specifics begin to build a photography client persona, or a fictitious person with qualities to match your ideal client. Small details will be important later, so be as specific as possible. A bride seeking a luxury destination wedding requires a different marketing strategy than a mom on a budget needing family portraits. Now take a look at your marketing materials including your logo, website, social media accounts, and business cards. Do the messages and imagery speak to your ideal client? For example, a bride will want to see elegant fonts, colors, and wedding photos. She will likely be turned away if her first impression of your brand is newborn photos, pastel colors, or bubbly fonts. Contrast that with commercial photography, where the technical aspects of your photos (focus, lighting, framing) may be more important. There are several upfront costs you should consider when starting. Things like equipment, business setup expenses, marketing costs etc can add up. Some expenses can be deferred, but some are unavoidable. To learn more, here’s our guide to the cost involved with starting a photography business. Begin with the amount of time you want to put toward the business, the amount of money you want to make, or a combination of the two. You can start to see real numbers emerge after doing a little bit of math. Let’s assume a 40 hour workweek. That could mean one to two portrait sessions per week for 48 weeks (assuming four weeks of vacation) or one wedding session per week for 26 weeks (half the year). Move these numbers up or down depending on how much you want to work and the time required to complete each session. $50,000 per year in revenue requires $500 – $1,000 per portrait session or $2,000 per wedding. $75,000 per year in revenue requires $750 – $1,500 per portrait session or $3,000 per wedding. Once you see the actual numbers, you will be better able to plan the potential of your business. Purchasing some Accounting Software like FreshBooks (affiliate link) is an excellent idea to help with this. When making these calculations, don’t forget to account for expenses, downtime, seasonality (especially for weddings), and time needed to manage the business (advertising, marketing, office organization, strategic planning, record keeping). Don’t be overly optimistic. Take into account funds for a broken camera, computer crash, or illness. Learn more about how to become a professional photographer. According to the United States Department of Labor report looking at 124,000 U.S. photographers, the median hourly wage for photographers was $15.24 in 2015. The median wage is the wage at which half the workers in an occupation earned more than that amount and half earned less. The lowest 10 percent earned less than $9.06, and the top 10 percent earned more than $34.71. Photographers in the District of Columbia earned the highest hourly median wage, earning $29.57 in May 2015. About 3 in 5 photographers were self-employed. 3 in 10 worked part time in 2014. Hours often are flexible so they can meet with current and potential clients or visit the sites where they will work. Demand for certain types of photographers may fluctuate with the season. For example, the demand for wedding photographers typically increases in the spring and summer. When you have goals in hand, begin putting them to work. Creating your business plan is the next step toward successfully achieving your goals. 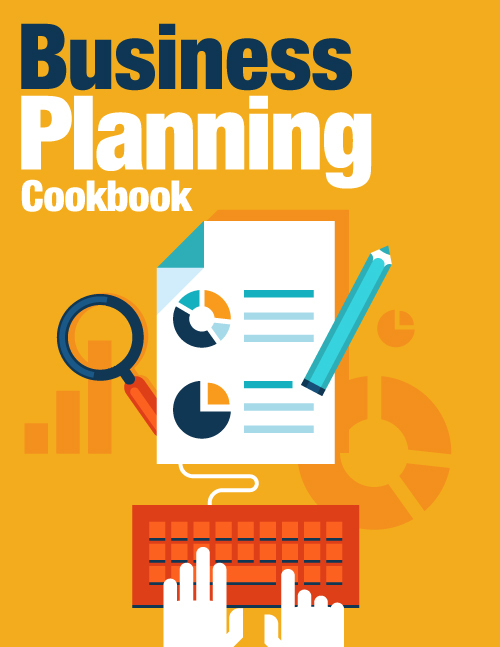 The Business Planning Cookbook is a guide for envisioning and planning for a successful, sustainable photography business. With over 75 pages including 10 worksheets and samples from different photography businesses, this guide is a must-have for a photographer serious about running a successful photography business. Company Description – What do you do? How is your business different than others? What needs does your business serve? Management and Organization – How is your business structured, legally and organizationally? Who is part of it? There are a variety of business structures to choose from: sole proprietor, LLC and corporation. Each of these choices has a different level of initial investment cost, personal choice of liability and tax liability. Liability protection: Maybe you are considering setting up an LLC to help protect your personal assets, or already have one established. The DIY LLC kit from the LawTog provides important information about establishing your LLC, what forms to file, drafting key documents like an operating agreement and how to preserve your limited liability protection. Services and products: What does your business sell? How does it benefit your clients? What is the story of your product line? Industry description and outlook – Describe your industry, including its current size and historic growth rate specific to your geography. The size of the primary target market – In addition to the size of your market, what data can you include regarding the annual purchases your market makes in your industry? What is the forecasted market growth for this group? Marketing Strategy – How are you going to promote your business? How often are you going to promote it? What different methods will you use? How will you gain exposure? Advertising strategy: What are potential advertising opportunities? What is your advertising budget? View more posts about marketing. Forecasts and budgeting – What are your fixed costs? What costs will you incur every time you make a sale? What major purchases will you make? What workshops will you attend? Cash flow – What is your initial investment going to be? When will your busy/slow seasons be? How will you finance any slow periods? How much and how often will you take money from your business? Many new business owners find it valuable to sit down with an accountant and work through these numerous questions during an initial forecast-and-budget session. Remember, not everyone will be ready to buy immediately. No matter how well your marketing works and your sales efforts shine, every business has three buckets of people: buyers, fence-sitters, and non-buyers. Define paths new people will travel along the purchase cycle. For example: friend referral > Facebook follower > website visitor > newsletter subscriber > interested contact > client. Sales planning – How are you going to attract clients? How will you store information about clients? How many clients are you looking to work with? How much do you expect your average client to spend? What products will they buy? Product pricing – Define your pricing structure, gross margin levels, and any discount that you plan to use. Do you have different pricing options for different clients? How you plan to get money from your customers is something that should not be overlooked. There are systems like Studio Ninja that can help with online invoicing, credit card payments straight into your account and automated invoice reminders. View more posts about sales. Putting some thought up front into how you are going to position and brand your business will position you for success. Having clarity around your brand up front will help guide your marketing strategy and pricing structure. It’s much easier to establish from the start rather than make corrections or ‘rebrand’ after you are established. Think about building your brand to attract the clients you want. Who your clients are – families, brides, corporate clients etc. You may be thinking, “Why should I limit myself to one type of photography when I’m just starting out. I want as many clients as possible”. The truth is, photography has many niches, and it is hard to master them all. There are differences in equipment required, competition and pay rates, as well as your own personal interests. An ‘Elevator Pitch‘ is a short sales pitch that quickly and simply defines what you have to offer. Think of it this way: if you met someone in an elevator, what would you say to explain your services in a way that makes them remember you and want to follow up with you at a later time. Thinking through how you would handle a chance encounter with a potential client will help clarify your own thoughts about your business and help focus your efforts. A nice way to brand your photos is to have an elegant signature logo made and use it when your promotional photos are shared online. It’s not needed for copyright protection on your work, but rather is a way to uniquely associate your brand with your photos. Photologo has a great service that handcrafts beautiful signature logos for photographers for a lot less than you might think. Now is the time to structure your business for the next three to five years. Change is timely, costly, and can have potential legal implications if not setup legitimately. A business name should be easily remembered, descriptive and distinctive. You can brand the business with your name or come up with something different and unique. Your decision is a personal one, but here are some tips for researching a business name. Develop a list of three to five names you love and then get feedback from friends and family. Their unique perspectives may save you from choosing a bad name for your business. Search – Will your name be hard to find in Google? Social – Is your business name available across all major social networks? URL – Is the domain name you want available? Trademarks – Does another business have the same name registered? Memorability – Is the name easy to remember? Logo – Does the name work well with a logo? Partners – Will you be the only photographer in your business or will you take on partners? Will you ever sell the business? Register your business name to protect from use by others and to aid in establishing financial accounts. Learn more about performing a trademark search at the US Patent and Trademark Office Search page. The Trademark Electronic Search System (TESS) allows you to search for existing trademarks, just select ‘Basic Word Mark Search’ from the search page. It’s also a good idea to perform a web search as well, not all trademarks are registered. Another great resource is the Wall Street Journal article which contains more information on How to Register US Trademarks. Register with your local and federal governments for tax, legal and communication purposes. Having separate business accounts is essential for proper organization and record keeping. The article Are you still using your personal bank account for your business? should help convince you. Don’t forget to connect the bank account to online payment services such as PayPal. Apply for a business credit card. Many online vendors only accept credit cards, so you will need some way of paying that doesn’t touch your personal accounts. I simply added a debit card to my business bank account — easy! Business insurance is not cheap and can be a major deterrent for those who are starting out. In the long run, however, it’s more costly to be caught without insurance, so set up business insurance right away. Business licenses are often required by state or municipal governments. It is a good idea to check with your state licensing board and your local municipal government to see if a Photography Business License is required in your area. The penalties for lacking a business license can be severe: The fines you may be levied can be more than the initial cost of the license, so it is a good idea to check. The U.S. Small Business Administration site has some good information about business licensing as well. Set up a record keeping system. Even if you have no desire to maintain your own books, you need to have a basic understanding of proper record keeping. There are many low-cost software programs available online that can link directly to your bank accounts. For example, here’s an article describing how to integrate ShootQ successfully. At the very least, keep printed copies of all your expenses and store them chronologically. Also maintain an electronic spreadsheet that tallies your income and expenses, preferably separated by categories. Tip – Take photos of receipts with your phone and email them to yourself. Live by Larry’s advice (he’s my tax dude): Plan time each week to update your records, which is easier and more accurate than saving everything until the end of the year. Outlining all expectations ahead of time in writing is a great way to keep expectations clear and provides a foundation for optimal customer service. Portrait Contract and Model Release (affiliate) – This governs the relationship between Client and Photographer. This will lay the foundation for sales by having provisions (if drafted right!) about completion schedules, ordering deadlines, etc. Final Sale Agreement (affiliate) – This document is done on the ordering session day and acts to inform the client of a final sale and waive any Cooling Off Laws that could allow a client to change their mind – even if just for buyers remorse! Album Design Agreement (affiliate) – This agreement is super important when you are spending lots of cost-of-goods on items, particularly an album that can be hundreds of dollars out of your pocket. I like to have an acceptance of the proof design by clients prior to ordering. Product Delivery Agreement – This agreement is a written acceptance of all products after the Client has had the opportunity to view them. This is especially helpful to prevent any potential “I didn’t get X product” statements after you have delivered the complete order. All of these aren’t necessarily needed as it depends on your client’s order and your business policies. Just keep in mind you want to prevent issues instead of trying to fix them later. See more posts about photography law. There are several types of insurance coverage you should consider, depending on your business. Professional liability insurance (sometimes called Errors and Omissions) covers claims related to professional services, such as failure to deliver services as promised. Professional liability policies typically cover claims of negligence, like failing to shoot a particular family member at a wedding, or a faulty memory card causing loss of pictures. General liability insurance covers claims related to bodily injury or property damage. Maybe you are doing a photo shoot and light boom falls over and injures someone. Or you somehow accidentally damage the client’s property. General liability will typically cover you. A business owners policy combines general liability with business property insurance. It’s a good way to protect your photography equipment such as cameras, computers, and lights. Business insurance can be quite affordable starting under $300 a year depending on coverage and the state you live in. The peace of mind is worth it. Learn more about insurance in our post, 5 Types of Insurance Every Photographer Needs. Learn more about Hiscox, which offers affordable photography business insurance. It’s hard to get clients if you don’t have sample photos ready and available. That’s where a portfolio comes in or you can create an online website portfolio for your sample photos. A portfolio is a representation of your current and best work that reflects personal style, your niche and — most importantly — the work you want to do. Your portfolio should be minimal and concise so that potential clients get a great introduction to who you are and your style. Keep it simple; you don’t want to overwhelm them. I’m new. How do I develop a portfolio? Creating a portfolio can be difficult if you are just starting out. But a portfolio is very important when you are new on the scene. Don’t be afraid to do a few sessions for free in order to create the exact scenes and style you want to showcase in a portfolio for your future clients. You’ll attract your ideal client through images that best represent your style. But I don’t know what my style is! As a new photographer, finding your groove can be a bit intimidating. Everyone else seems to have something that screams who they are as an artist. The thing to remember, though, is that successful photographers were at one time new, too. Style won’t jump out and shake your hand on Day #1. Start by looking for ideas. What do you enjoy viewing? What do you like shooting and who is your target market? Take those in and go out and practice. Soon, your style will emerge. Client building is the process of attracting ideal clients who can hire you. A photography studio doesn’t start with a line at the door; it takes hard work to recruit interested people and website traffic, and then turn those leads into clients. Build slow and steady, one client at a time. Treat each client like they are your ONLY client (in the beginning they might be). Treat each client like gold, regardless of how much the person spends. When starting out, word of mouth and referrals will be your best friend. You want every client to become an evangelist for your business. The client should love the experience with you so much that she or he will freely promote you to all their friends and family. The first few clients are your most important and likely will turn into lifelong, repeat clients. Develop a system to remember the fine details about each client. Set up a standardized client inquiry sheet in addition to a standard client workflow process that details everything — from the client’s initial phone call all the way to the delivered product. Note birthdays, anniversaries, favorite colors, taste in music, memorable first dates, or birth weight of children (depending on the type of session). Send each client greeting cards on their anniversary or birthdays. Attention to detail makes you unforgettable to a client. Online list building can include collecting email addresses or social media followers (especially on Facebook and Pinterest). A combination of great content (like inspiring Pinterest boards) and an incentive (like a free PDF with “What to Wear” advice) will encourage potential clients to trade their contact details for your valuable information. Once you have a person’s contact information, it’s much easier to continue interacting through an email newsletter or social media. It took more than being a good talk show host for Oprah Winfrey to become a media mogul. Her company was a marketing machine that was skilled at developing partnerships and relationships, as well as product delivery. Similarly, it will take more than good photos or an advertising budget to build your business. Think about the relationships you need to foster over the next year, and how to bring revenue from those relationships. A solid marketing plan keeps you in a proactive mode. You’ll be ready well in advance for family sessions in the fall, the summer wedding season or Christmas holiday sessions. Avoid scrambling to put together packages and marketing pieces after the season is already upon you. Your marketing efforts should reflect the essence of your business. Most photographers have niche businesses that provide personalized services and products. Your marketing tactics should reflect that. Mass mail campaigns with “Dear Customer” on them may not bring you the right type of client. Get my free ebook with 80 Marketing Ideas for Photographers. Whenever you create a marketing piece, write a client newsletter, draft a blog post or attend a networking event, keep in mind the purpose of your content. You are speaking to past or potential clients: What will be useful for them? Always focus on them and the relationships you want to build. Good marketing focuses on a customer need (not your need). For a client, investing in photography is much like buying a house. Remember that sales are based on emotions, first impressions, and relationships. Focus on these three things when formulating every piece of your marketing content, and the look and feel of your website and community presence. A business can’t operate smoothly without the right tools and products. Some will improve the quality of your service; others will improve efficiency. The starting list below shows all the areas where you might need funding. Keep in mind that this isn’t a list of must-haves to be successful. It’s a list of suggestions for items that can help you and your business. Your needs will vary and your business can function without some of them. Buy what you need — not what you want — and your budget will be much happier. Affiliate links below. Macphun’s Luminar 2018 is a powerful photo editor for both Mac and Windows which is easy to use. Use coupon code SPARK2017 for $10 off Luminar. For a current list of discounts on some great photography business tools, check out our deals page (opens in a new tab). Here’s a list of our 13 Must-Have Photography Accessories. Also, Every year we publish a list of the best photography business products. Starting your own business can be an exhilarating experience but this newfound freedom of being your own boss may also seem extremely overwhelming. With a lengthy to-do list, where do you possibly focus your time in your first few years to set your business up for longevity and success? ShootDotEdit in conjunction with PhotographySpark and Fundy Software has published a new guide: 16 Things I Wish I Did My First Year as a Photographer. This free guide contains the insights from 16 pro photographers who reveal personal challenges they faced and what they wish they did in their first year of business to set it up for success. This is the ultimate resource for you to learn from their experiences and figure out how you want to grow your business. Visit ShootDotEdit to download the free guide today and set your photography business up for success! If you are just getting started in your photography business, or want to brush up on your skills, CreativeLive offers free and paid training courses covering all areas of photography. Their Beginner Photography Bundle is a great place to start. CreativeLive also offers Photography Starter Kit Classes at CreativeLive. Learn the principles of photography and take amazing photos with their great on-demand video lessons. The basis for any photography business is taking great pictures. To deliver the professional results your clients will expect, you will need to master some essential photography skills such as composition, exposure, lenses, aperture, shutter speed and more. Share Inspire Create has published an excellent guide called Essential Photography Skills to help get you started. As you can see by the sheer length of this blog post, there are several important factors to consider before starting a photography business. Addressing these topics early on will set you on a path to success. Take the time to set up everything properly in the beginning so you aren’t unprepared later. You will present yourself as a professional because you will have taken the right steps to BE a professional business person. Use this article to create a plan of action — steps that will take you from the idea to the realization. Then work through the plan a little each day. It doesn’t matter if you only have 10 minutes a day to work on it, you can do it. This means taking action. Ideas mean nothing unless they are put into action. Whether you think you can or think you can’t — you’re probably right. Keeping a positive frame of mind during your growth stage will help you combat burnout, frustration, and self-doubt. It will be hard and there will be some rough going, but you can do it. For more great tips, also check out Brendan’s article on starting a photography business at PhotoMBA.